Welcome to our web site. My name is Russell Sifers. We are a small family owned and operated candy company now into our fifth generation. Our factory is located in beautiful downtown Merriam, Kansas, usually high above Turkey Creek. Merriam is part of greater Kansas City. 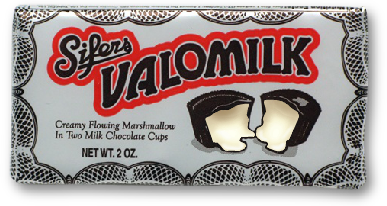 VALOMILK Candy Cups are the only candy we make here today. This keeps our work simple, focused and yet busy. I hope you will enjoy your visit with us as well as our old fashioned candy. 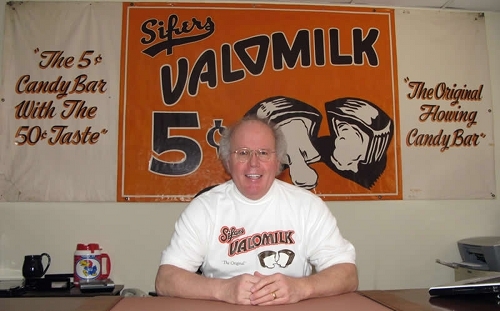 PS – To find sources for our VALOMILK Candy Cups, please click to the right. Due to strict quality assurance, we cannot offer tours. We do not have shirts for sale. We cannot sell directly to consumers.